On the ground, under mature wattles. 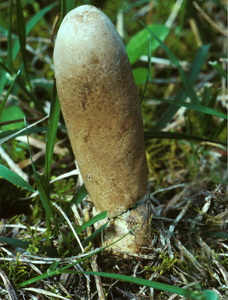 This species appears above the ground as a sturdy club with creamy-brown head and stem. There is a characteristic sharp demarcation where the head joins the stem. Generously sponsored by Karen Retra.